It’s time for cashews to have their moment in the spotlight. Almonds and peanuts tend to get all the attention, but if you ask us, they’re nothing compared to the humble cashew. With a rich, buttery flavor and an impressive list of health benefits, cashews just might become your new favorite. Full Disclosure! 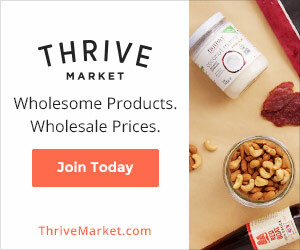 : I am an affiliate of Thrive Market!